Gliders allow the autonomous and sustained collection of CTD data and biogeochemical measurements (fluorescence, oxygen, etc) at high spatial resolution (1 km) and at low costs compared to conventional methods. Novel studies carried out in the last 2 years in the Mediterranean Sea have confirmed the feasibility of using coastal and deep gliders to monitor the spatial and low frequency variability of the coastal ocean (Alvarez et al., 2007; Ruiz et al., 2009; Ruiz et al., 2009). 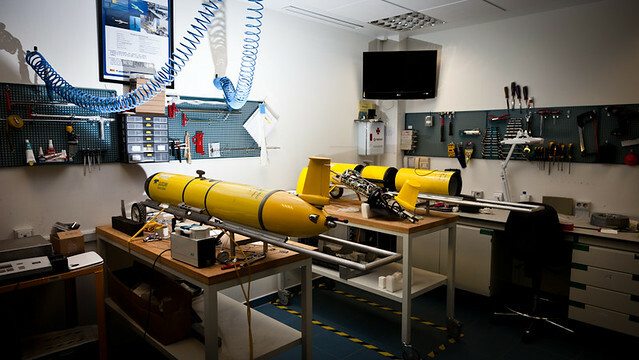 Gliders have proved to be highly robust platforms to monitor the ocean even under adverse meteorological conditions and/or in challenging oceanic areas such as the Alborán Sea (Ruiz et al., 2009). In addition to the above, systems and procedures will be developed for glider fleet management, training, service and maintenance, pressure testing, sensor calibrations, satellite data communications, web based glider command-control and a real time data delivery system. Dapp is a web based client application, developed by the SOCIB Data Center, intended to display and download deployments data from SOCIB.